NHS services across England and Scotland have been hit with a major cyber attack, with reports of ambulances being diverted, patients urged to avoid some A&E departments and doctors resorting to use pen and paper. 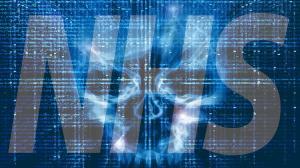 NHS Digital said 16 organisations had reported that they were affected by the issue, thought to be a ransomware attack using the malware variant Wanna Decryptor. There is no evidence at this stage that patient data had been compromised. NHS Digital said that attack “was not specifically targeted at the NHS” and is also affecting other organisations across a range of sectors. NHS workers claiming to be affected by the ransomware attack shared screenshots online of a program that locks computers and demands payment in Bitcoin. A Downing Street Spokesman said Prime Minister Theresa May was being kept informed of the situation. In a statement the National Cyber Security Centre said it was “aware of the cyber incident” and was working with NHS Digital and the National Crime Agency to investigate.